With more than 1,700 projects worth $1 trillion, China’s ambitious Belt and Road Initiative aims to positively impact 4.4 billion people, or 65 per cent of the world’s population that equals to 40 per cent of the global Gross Domestic Product (GDP). Spanning across 70 countries in Asia, Europe, Africa, and Oceania region, the Belt and Road Initiative has been allocated over $340 billion in construction contracts secured by Chinese companies, said a report released ahead of Annual Investment Meeting (AIM), a premier international foreign direct investment-focused platform. 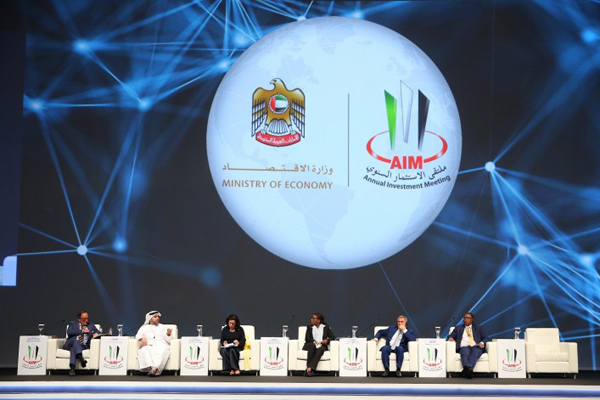 This year's forum, which will be held from April 8 to 10 in Dubai, will focus on ‘Mapping the Future of FDI: Enriching World Economies through Digital Globalisation'. It will put a spotlight on China’s ambitious initiative through a full-day special forum, which will be held on the second day of the event. The AIM will provide participating high-ranking Chinese officials with an international platform to present the plans for the Belt and Road Initiative and to strengthen investor confidence on the same. In addition, the workshop will brief the business community worldwide with various investment opportunities running around the mega project. "The Belt and Road Initiative will pave the way for a stronger trade ties within Asia, the Middle East, and Europe. Targeted to be completed by 2049, the landmark project will bring about inclusive growth, spur unprecedented development, and enhance cooperation, trade, and investment worldwide," remarked Dawood Al Shezawi, CEO of Annual Investment Organising Committee. "AIM is founded based on these objectives too, thereby prompting us at the organising committee to host this special event this year to keep with our commitment to highlight investment opportunities around the world under the support of respective governments," stated Shezawi. During the forum, renowned keynote speakers will tackle various fundamental aspects of the project, he added. Shezawi said there will be four sessions which will focus on infrastructure development, new technologies, renewable energy, and agriculture and food security.